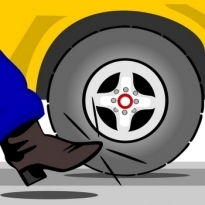 Converting website peepers and tire kickers into actual sales prospects requires some serious planning and testing. It is not magic and there are several page elements that your page visitors will pay attention to more than others. There are also some page elements that may turn people off. This post will help you focus on more on the conversion techniques that turn people on and encourage them to follow the paths you wish them to follow and not go astray. Let’s first understand who you are trying to attract and where is your traffic coming from. We should approach the design and layout of a typical web page receiving traffic from organic search much differently than we would for a landing page used for paid advertising. Already doing SEO for your website? Then you should have a good idea of the keywords each page is targeting already. If that is not the case, then ask your SEO service provider for the keywords that are already driving traffic. If you are not doing SEO, it is very possible that many of your visitors may not be relevant or ready to make buying decisions yet. So, we suggest you find someone to optimize your website for organic search first to improve the quality of your website visitors. Search Engine Optimization is more about helping Google index the content on each web page more effectively than winning new visitors. The results of good SEO is a higher quality visitor…and certainly more of them. Each webpage should have a goal. Most often, organic search visitors will need to be led down a conversion path with a series of easy decisions. If you know the keywords driving most of the traffic, it will be important that your visitors are reassured that you have the answers to their questions. So, stay on topic! Don’t change the subject or offer too many other options. 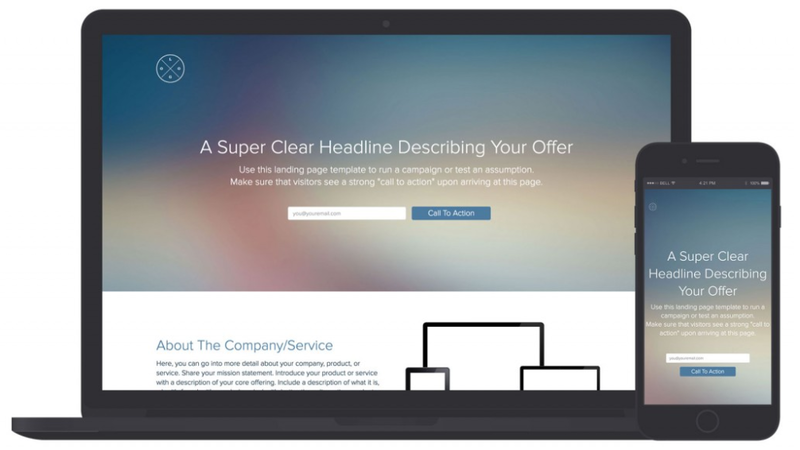 A clear, concise page heading that uses your keywords will tell the visitor that they are in the right place. Make sure your heading appears clearly on all devices. There should always be a call to action, or two that guides the visitor on what to do next. In the B2B World, 90% of your visitors are not ready to make a decision on their first visit, but they are doing their homework says this B2B Marketing Study from Google. In fact they may do 12 or more searches before they are ready to engage with a sales person or online interaction that indicates they are ready. Therefore we need to think of micro conversions that help us know more about who our visitors are and help them move further down the buying funnel with your brand. Free downloads, helpful blog posts, informational videos and useful tools can help buyers along their journey and can set you up as the authority on the subject. That means your primary goal for the initial visit is to capture an email address if possible and their attention with a promise that you have answers to their questions. 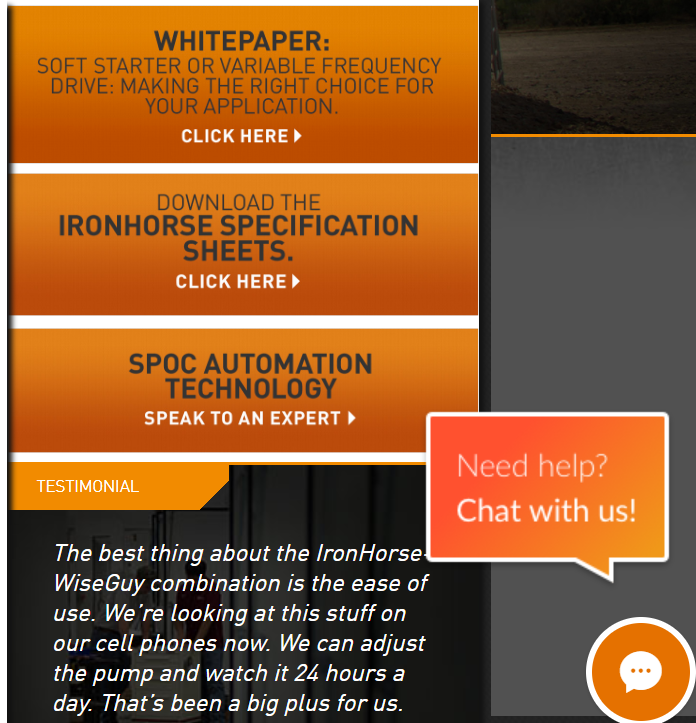 This Pump Control Manufacturer for example helps visitors make some smaller decisions on their home page as well as offering a chance to chat with a sales person. With each Call to Action button leading to a lead generation page, a visitor will now trade contact information for a useful document. What they don’t see yet is that the visitor has now been added to a lead nurturing program designed to educate, build trust, scrub for higher quality leads and guide the visitor down a conversion path that has proven results. Staying with this case study, this manufacturer of drives has optimized internal product pages to convert visitors as well. To the right of some well-crafted copy about a specific rod pump drive are these 4 calls to action and a supporting testimonial. Under the testimonial, there is a list of other types of control drives that might be relevant to the user and recommendations on a few blog posts & content pages that could be useful. Personally, for me, this may be too much information and can take our visitor off track…especially if they are prone to ADD tendencies. Color selection, page layout and placement of specific calls to action are all important components of high converting web pages for manufacturers. But high-quality content and knowing who your audience is of prime importance. As Google analytics experts, we get to drill down to valuable insights for clients and help make those decisions on how to properly structure your web pages. Your lead generation strategy should include partnering with a website content writer that knows a thing or two about motivating website visitors to take action, micro conversions and page architecture.